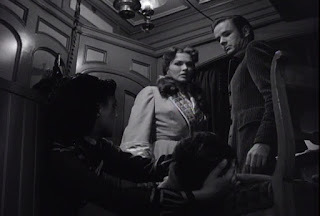 There is a fight scene in a saloon in Devil's Doorway (Anthony Mann 1950) between a Shoshone Indian and a white racist. The staging of the fight, the camera work (the images are brutal and uncomfortable yet there is also a peculiar beauty in the composition of each shot, a beauty that only enhances the power of the scene) and the choreography, together with the force of the punches and the righteousness of the Shoshone man's fight (he is not just fighting for himself but for all other Native Americans), makes it one of the best fight scenes in cinema history. 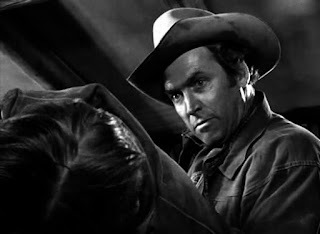 The fist fight between Link and Coaley in Man of the West (Anthony Mann 1958) is another contender. It is slightly different in that it is more about humiliating the other, than standing up for a historic injustice, but the power and force of it is on the same uncomfortable level. This is the essence of Anthony Mann, these complicatedly staged and emotionally electric fight scenes between men in a state of frenzy. They reach some primordial level, and are expressions of each combatants true being, as well as Mann's. These are fights as existentialist statements. Mann's films are not just about these fights but the fights are what the rest revolves around because such is the world as Mann sees it. A cruel, pitiless place where you fight or you die, or more often you fight, you win and then you die anyway. Man is hostile to man, and neither family nor nature will protect you. Rather the opposite. It might sound like his films are unbearably bleak and to some extent they are, but not altogether. There is also love, laughter, companionship and community, but it is always a struggle to get that, or to keep it, and you will often lose it. And it does not matter whether a film is set in ancient Rome, Texas in the late 19th century or New York in the late 1940s. We humans are the same, always, and there is no place and no time to hide. Mann also drew from old sources when making his films, such as the Bible, Shakespeare and Greek tragedy, emphasising the timelessness of human violence and suffering. But there is hope, and redemption is possible. This world of Anthony Mann is depicted in images shot and designed with remarkable intelligence, coherence, symbolism and, again, beauty. Not the beauty of a John Ford or a Terrence Malick, well, sometimes such as in Winchester '73 (1950), but the beauty that comes from a perfect composition. A composition with a balance that brings everything together and where the theme of the film can be expressed in a single image. Through framing and blocking he often manages to make the images feel claustrophobic (sometimes becoming like pressure cookers), even if it is outdoors in the wilderness. That is one stylistic consistency through his career. Another recurrent trait of Mann is to have something threatening appearing in the lower corners of the frame, either suddenly rising in a shot, or being there from the beginning, right after a cut. It can be the face of a person, but more often it is an object, like a knife or a gun. But it is not always a threat, sometimes it is there the victim is placed. A typical Mann composition, this from The Tall Target (1951). Another, this from Winchester '73. Early films such as The Great Flamarion (1945), Railroaded (1947) and in particular T-Men (1947) have great moments and incredible shots but Mann's first unequivocally great work is Raw Deal (1948), an astonishing film of genuine anguish. A raw deal is also pretty much what all Mann's characters have been given, sometimes just by having been born, or, to sound Heideggerian, thrown into this world. After Raw Deal Mann would make films for another 20 years and now, when evaluating his oeuvre as a whole, it is appropriate to say that he is one of the very best American filmmakers. He should be mentioned alongside Hawks, Ford, Welles and Hitchcock, and also alongside Fritz Lang, Kurosawa, Bergman and Visconti. Up there is where he belongs. The ghost town sequence in Man of the West is in itself enough to put him in the pantheon. Mann reached his peak with Men in War (1957). It is based on a book called Day Without End (aka Combat) and written by Van Van Praag, a soldier and platoon leader. The film script, with the setting changed from the Second World War to the Korean War, was written by Philip Yordan, although his name is possibly a front for Ben Maddow. It tells of one day in 1950 with a handful of soldiers drifting through enemy territory towards a hill. They are tired, afraid and confused but push forward while getting killed off, one after another. It is a tense, minimalist and almost abstract film, brilliant and disturbing. 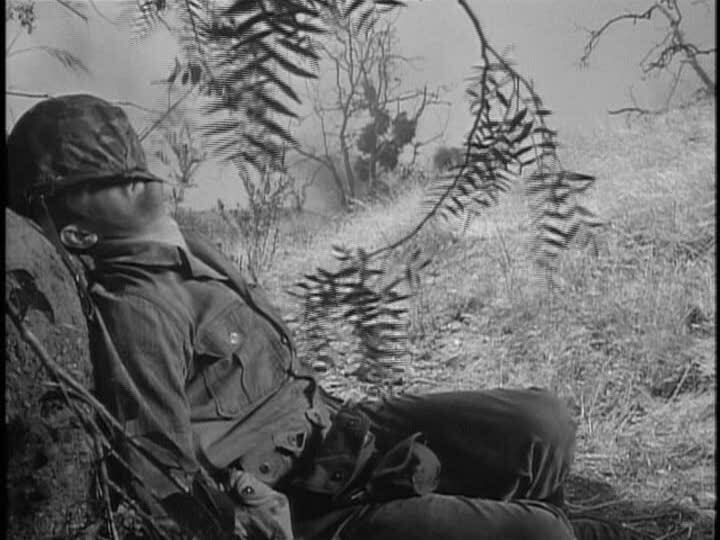 The cinematography in Men in War is a peculiar blend of lyricism and harshness (Ernest Haller was the DoP) and everything has almost the same colour, there is very little contrast. Calling it a black and white film almost seems wrong, it is just different shades of grey. One effect this has is that the actors and the environment are sometimes hard to tell apart, they all blend into each other, making the characters one with nature. While the camera sometimes moves back and gives a bigger picture it mostly stays on the ground, tracking back and forth among the men. (To quote Manny Farber from his essay "Underground Films": "the terrain is special in that it is used, kicked, grappled, worried, sweated up, burrowed into, stomped on.") Then there is the music by Elmer Bernstein, which is spare and distinct. Sometimes a bit eerie, sometimes more lyrical, and never a traditional war movie score but more experimental. Sometimes only a single note will be heard, sometimes a longer sequence. Music and images are in complete sync. All of these stylistic elements work together to enhance the point of the story, which is that war is brutish and nasty, but not short, and that in order to win you need to be ruthless and inhuman. 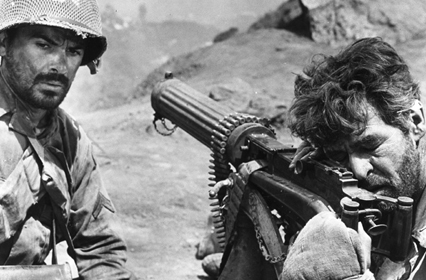 When this realisation hits the platoon leader, Lieutenant Benson (played by Robert Ryan), he says through gritted teeth: "If fighting like this is what is needed to win this war then I'm not sure I want to win." It is also about how war becomes like a decease, contaminating everything. It does have a certain nihilistic quality, perhaps best expressed by Benson: "Battalion doesn't exist. regiment doesn't exist. Command HQ doesn't exist. The USA doesn't exist. We're the only ones left to fight this war." So Men in War is the best. But there are so many other films, ranging from good to exceptional, that I have not even mentioned yet. Side Street (1950) and The Naked Spur (1953). The Man from Laramie (1955) and The Tin Star (1957). God's Little Acre (1958) and El Cid (1961). The Last Frontier (1955) and The Fall of the Roman Empire (1964). The companion pieces Bend of the River aka Where the River Bends (1952) and The Far Country (1954), both scripted by Borden Chase. Then there is Border Incident (1949) which is so special it deserves its own post. Reign of Terror aka The Black Book (1949) has its weaknesses but is such a visual marvel that it defies belief. That is also true for He Walked by Night (1948). 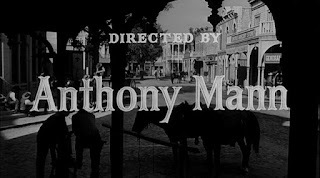 Those are three of his six films made with cinematographer John Alton, one of three well-known collaborations Mann had, the other two being of course those with James Stewart (eight films) and Philip Yordan (seven films, perhaps). Writer John C. Higgins (five films) and cinematographer William H. Daniels (five films, including the uncommonly beautiful Winchester '73) should also be mentioned. There is much that has not been discussed here (such as politics and race) but the bottom line is that there is real pain in Mann's films, and there is real beauty. That is the source of their power. For those who want to read more there is Jeanine Basinger's book Anthony Mann. The second and expanded edition from 2007 is the one I recommend. An associate of Mann was Irving Lerner, so you might also want to read my earlier post about him. Philip Yordan wrote for Lerner as well as for Mann, so perhaps you would be interested in Nick Pinkerton's article about Yordan. Last week the autumn semester ended and this is the first week of the spring semester. This period of transition is very busy so I decided to postpone the new post until next Friday. Please check in again a week from today. A couple of years ago at the Swedish Film Institute the switchboard forwarded a phone call to me from a man at a Swedish company. The following week a group of Chinese entrepreneurs and businessmen would be visiting Sweden and the man calling was involved with that. The reason he called the Swedish Film Institute was that the Chinese were fans of Ingmar Bergman and would like to have some kind of Bergman event while they were visiting and he wondered if I had any suggestions. (He himself was clearly not interested in Bergman and somewhat bewildered by the Chinese request.) I was unable to help the poor man but it is an excellent example of Bergman's unusual position in the world; how he is not just a famous filmmaker but a global touchstone, comparable to Shakespeare or Dickens. Very few filmmakers after all are worshipped as much by Chinese businessmen as teenage cinephiles in Uruguay. This year is the centenary of Bergman's birth and there will be plenty of celebrations and manifestations around the world. Festivals, retrospectives, conferences, theatre productions, books and whatnot. This blog will also engage with it, but more with his work then with personal anecdotes like today, even though I have quite a few of those. 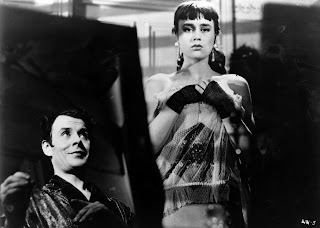 My years in the world of Bergman was followed by several years immersed in the world of Hasse Ekman, which is fitting because they are uniquely connected. 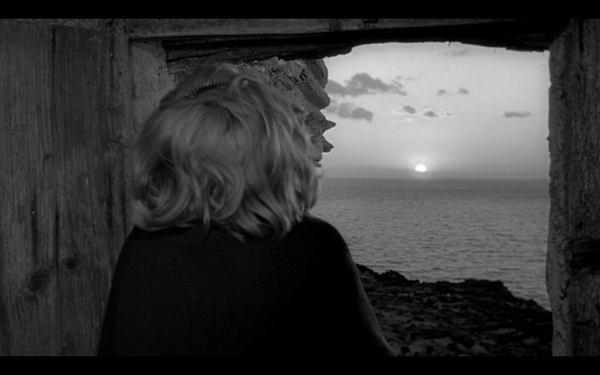 This connection is the big gap in the extensive writing of Bergman; almost all aspects of Bergman's life and work has been covered and discussed in excruciating detail, except the Ekman connection. My own writing, including my book and a few articles, has tried to close this gap but there is more to be done. Here and elsewhere.